As I am sure you know if you live in the city of Chicago, it’s a foggy night out already. 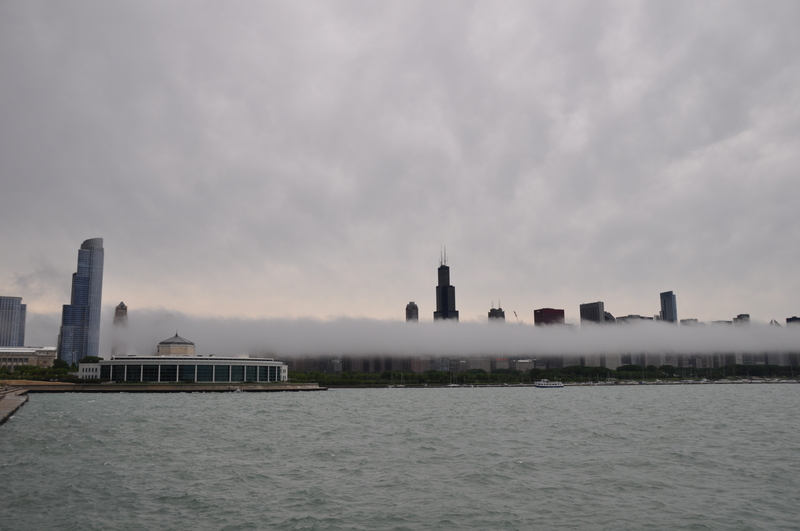 I just love the way the fog engulfs the city…leaves the city with an erie feeling. This photo was taken of the skyline with the fog rolling over the skyline. A wonderful view from the Adler Planetarium.